Ensure the right sponsorship from the top. Any proactive change, especially cultural change, creates diverse enemies who resist it. To → overcome resistance to change , the new design function and the new innovation culture need to be advocated and protected by the CEO or by somebody influential enough at the executive level. 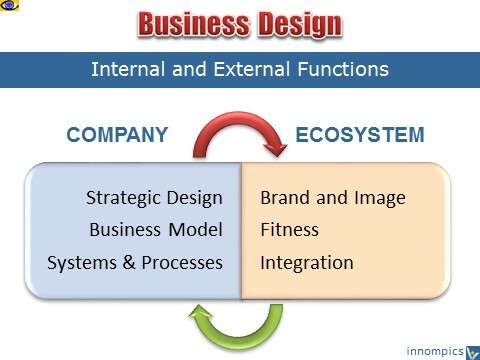 Establish the design function embedded inside the business organization. It should be a peer of other key functions such as business development, finance and marketing to be able to drive strategic → Innovation 360 throughout the organization. The pillars of a design functions are senior leaders who run key strategic areas such as business design, strategy innovation, organizational design, brand design, product design, and customer experience design. Bring in the right kind of design → leaders: strategic creators who have a holistic vision, are broadly skilled, cross-functionally excellent → Business Architects , proactive innovators who can manage all the different phases of design in a smart intrapreneurial way. Allow these leaders to build their design teams. Integrate several quick wins in the implementation strategy and celebrate small victories to keep the spirit of the stakeholders high and to show them that you are moving in the rights direction in the right way. Identify and implement mini-projects where you can show the value of design very quickly to the stakeholders. Learn from early successes and failures and adapt your strategy of building processes that can enable the new approach to be adopted by all the stakeholders willingly. Involve them in development of prototypes and the process of building a new design-friendly → Culture and integrating it inside the → Organization .